Red Bull Rising: What Do You Call a Group of 'Blue Falcons'? 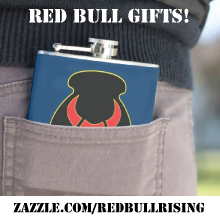 An off-handed remark last week on the Red Bull Rising blog generated some equally snarky results. 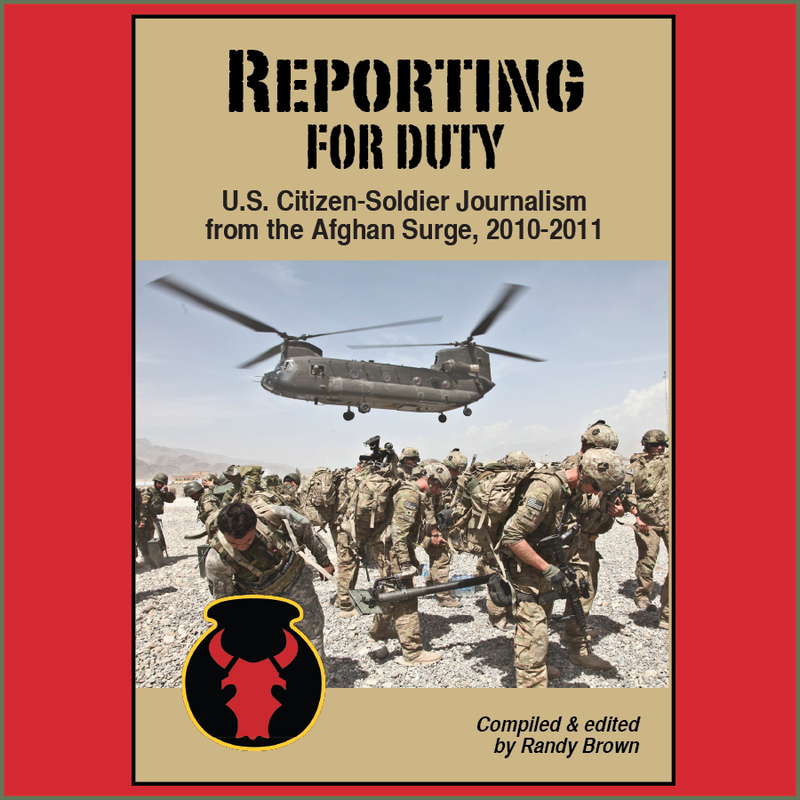 In a status report on The Blue Falcon Review, an online journal of military fiction published by Military Experience & the Arts, we'd speculated about the apparent need for a creative collective term for more than one "Blue Falcon." Given that the term is rather rude slang for a soldier who takes advantage of his or her buddies, calling such a group a "flock" of Blue Falcons seems a little ... less than appropriately colorful. There are in the English language, after all, special collective nouns for specific types of animals. A "murder" of crows is one example. A "gaggle" of geese is another. The tradition of "nouns of Venery," according to Wikipedia (which is about as deep as we intend to research this sort of thing), stems from English and French hunting customs in the late Middle Ages. As G.I. Joe used to say: "Now you know, and knowing is half the battle." Here's an abridged list of possible collective nouns for Blue Falcons, as suggested by some of our usual "chatter" of Facebook friends and blog colleagues. Keep in mind, these are only the (relatively) family-friendly ones. 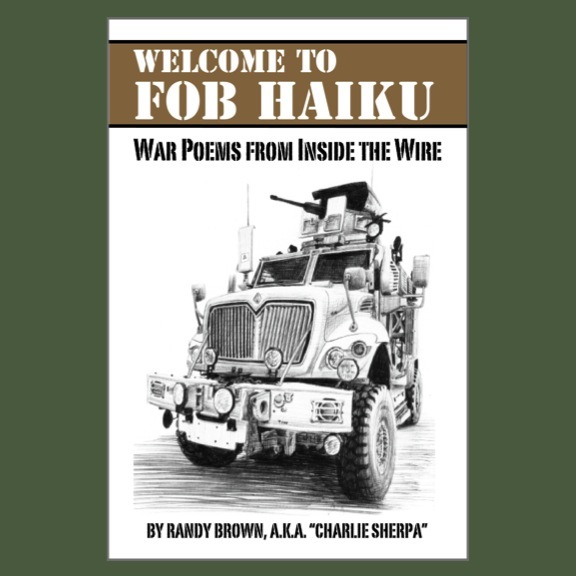 The Blue Falcon Review, by the way, continues to gather submissions for its second volume of fiction written by military veterans and service members here. They're good people, whatever what you call them. The next volume is slated to be published in November. Also, you can purchase Doctrine Man!! 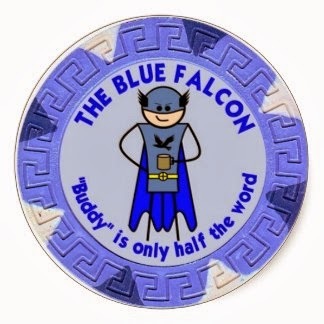 cartoon-character "Blue Falcon" stickers and coffee mugs at his "Lair of Mystery" store. Be a buddy, and buy some!